The best way to get to know a community is by scheduling a tour. See the facilities, meet the staff and residents, and get a feel first hand what it's like to live at Renaissance Village Murrieta Assisted Living. Renaissance Village Murrieta is a premier resort-style living option for seniors in Murrieta and its surround areas. The community offers Independent Living, Assisted Living, Memory Care and Respite Care living options. Our community empowers seniors through our Renaissance Lifestyle, which is resident-focused in every respect. We encourage residents to be part of the conversation by voicing their opinions when it comes to the activities they participate in, the food they eat, the outings that are available and more. We are dedicated to creating great days for our residents, and invite you to schedule a tour of our beautiful community to experience the Renaissance Lifestyle for yourself. Know that your loved one will be assisted with daily living activities and care in their home surrounded by their personal belongings and keepsakes. Skilled and friendly caregivers provide 24-hour assistance with medication management, bathing, dressing, eating, walking, interactive and social activities. By placing a strong focus on safety while also empowering independence in our residents. Trust that your loved one with cognitive challenges brought on by Alzheimer’s and Dementia will be in a safe and engaging environment; cared for by compassionate professionals. Our signature program is centered on a personal approach focused on feelings of belonging and purpose while preserving a sense of self. 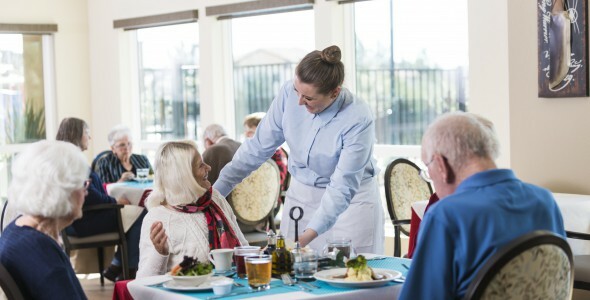 We provide a gentle daily routine to help maintain the resident’s sense of security so that they feel right at home. Working closely with families to be a part of the solution, we set an established set of protocols and techniques to empower our residents and promote happiness. Thanks for your interest at the Renaissance Village at Murrieta. Please give us a call to schedule a free tour.